Devotees wait in queues inside the premises of the Sabarimala temple in Pathanamthitta district. Four days after the doors of the Sabarimala temple in Kerala opened after the Supreme Court stepped in to overturn a nearly three-decade-old ruling formalising a ban on women of menstruating age. Today, two women in their early forties who started walking towards the Sabarimala temple today were stopped by protesters 200 metres from the base camp Pamba. Vasanthi, 41, and Aadhiseshi, 42, said the protesters surrounded them, blocked their way and forced them to return to the base camp. Yesterday, another women arrived at Pamba, attempting to enter the temple. However, Manju, general secretary of the Kerala Dalit Mahila Federation was told that no police protection will be provided until background check is done to verify if she was an activist. The decision is likely to be announced today. Police sources said the woman has a few cases against her and alleged links to a radical organisation. Manju's plan for the trek was also thwarted after heavy rains in the area. If she is given the security she will succeed in entering the temple to script history. No woman in this age group between 10 and 50 years have made it to the temple. 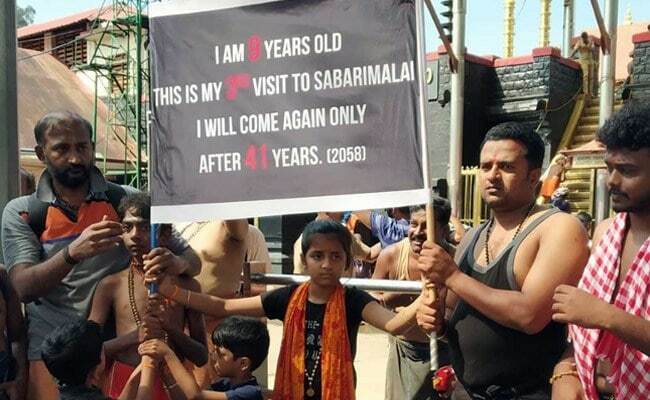 A nine year old girl campaigning for continuation of age restriction for women's entry into the Sabarimala shrine drew attention at the temple this morning even as several women were stopped from entering the temple. 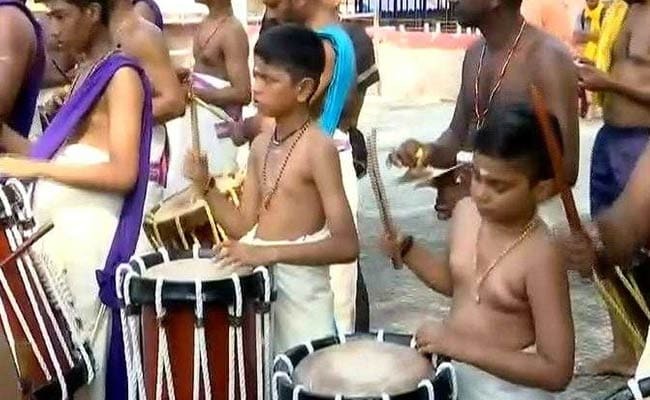 The Class 5 girl V Padmapoorani from Chennai, who is on her third pilgrimage to Sabarimala, held a placard that said, "I am 9 years old. This is my 3rd visit to Sabarimala. I will come only after 41 years (2058)". The BJP on Sunday announced that it will launch a one-month long campaign across Kerala against the Supreme Court verdict that allowed women of all age groups to enter the Sabarimala Temple. K Surendran, Kerala BJP General Secretary said, "There will be a month-long Sabarimala Aiyyappa Samrakshnaye Abhiyaan (Save Sabarimala Campaign) across Kerala. We will be going to every single booth, will visit every house and tell people about the importance of the sanctity of Sabarimala Temple." The police have said they will give all the protection women devotees need to reach the temple without fear. "... But darshan is something which can be done with consent of the priest. We will give them whatever protection they want," said Kerala Inspector General S Sreejith, who on Friday led a police team that formed a protective ring around two women whose attempt to enter the temple did not succeed. Balamma, 47, had trekked almost 4 km without police protection, unnoticed by anyone. The protesters were not stopped by police and the woman's ID card was also checked. Woman suffers panic attacks as devotees surround her suspecting she is under 50 years. 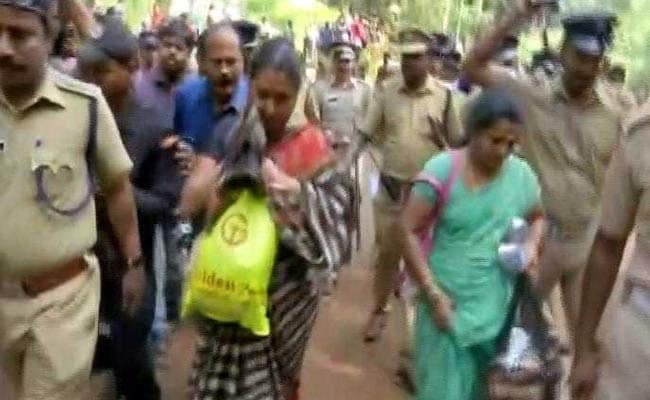 Kerala has been witnessing protests after the state government said it would implement the top court's order and facilitate women's entry to Lord Ayyappa's hilltop shrine.The woman is now being taken to Pamba hospital. Only eight women below 50 have tried to walk to the temple since Wednesday when it opened after the Supreme Court last month overturned a centuries-old ban on women between 10 and 50 years entering Sabarimala. Not a single woman has managed to reach the hilltop shrine. The women Vasanthi, 41, and Aadhiseshi, 42, hailing from Andhra Pradesh had trekked around 100-200 metres from Pamba base camp towards Sabarimala. The women were part of the pilgrim camp who were trekking to various temples across Kerala. 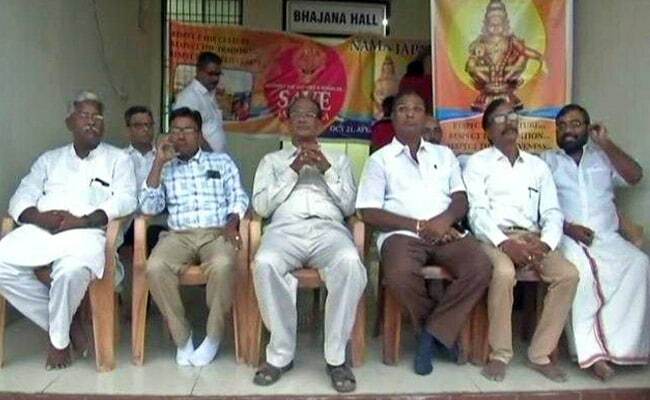 They say they were not aware about the situation in Sabarimala. They have informed the police that they don't want to go further and want to instead return. 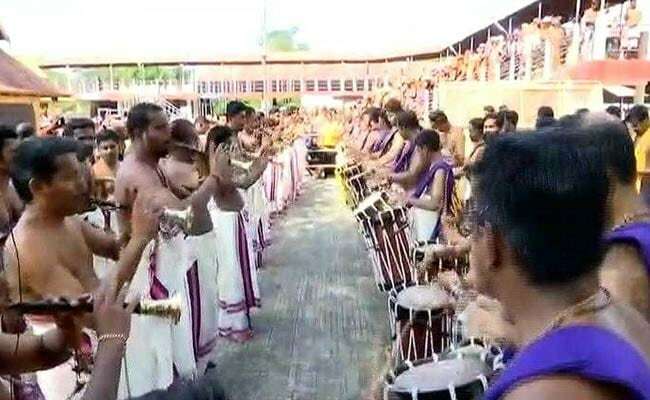 The traditional musical 'panchari melam' being performed at the Sabarimala sannidhaanam on Sunday morning. 2 women in their early 40's identified as Vasanthi and Aadhisesh tried to trek to Sabarimala temple and were stopped by protesters 200 meters from Pamba. The women have now returned to police guard room in Pamba. 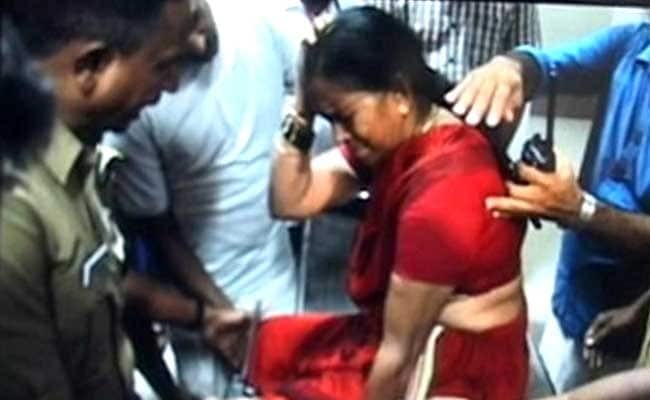 Yesterday, another woman arrived at Pamba attempting to enter the temple. SP Manju, general secretary of the Kerala Dalit Mahila Federation had aborted her plans for the trek after heavy rain in the area. 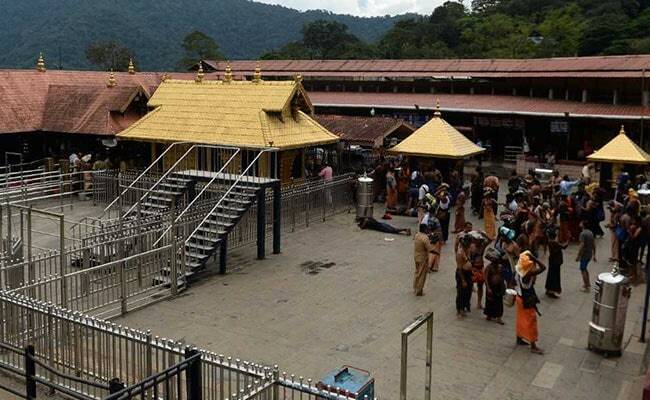 Four days after the hill-shrine Sabarimala opened its doors to the public, few women who have attempted to enter the premises have met tough resistance and had to return back. The shrine closes at 10 pm tomorrow.